Only available as a single remnant size of 3.34m x 4m.Name: AirdaleColour: BeigeThickness: 6mmMaterial: 100% PolypropyleneBacking: Action Backing Style: Twist PileRemnants Sales Policy:1. All remnants are one-off/single sizes unless specified.2. Due to the nature of how the remnants are stored, there may be creases or crushing on one end of the roll.3. All remnants are stored carpet side facing out, this is so we can identify them. There may be dirt/dust on the exposed area, but this s..
Only available as a single size remnant of 2.7m x 5m. Stain resistant & Fade resistant, Bleach cleanable & Hard wearing,Suitable for the busy modern home in any/all rooms, including stairs & landings,2 Ply Pile - Adds density, depth in colour and wearability, Action backing - Underlay & Grippers are required. *Reduced from £11.99 Per SQMSpecificationsName: Amber Colour: Black/Grey/SilverThickness: 10-11mmMaterial: 100% Polypro..
Only available as a single remnant size of 2.6m x 1.1m.Stain resistant & Fade resistant, Bleach cleanable & Hard wearing,Suitable for the busy modern home in any/all rooms, including stairs & landings,2 Ply Pile - Adds density, depth in colour and wearability, Action backing - Underlay & Grippers are required. *Reduced from £11.99 Per SQMSpecifications:Name: Amber Colour: Brown BeigeThickness: 10-11mmMaterial: 100% PolypropyleneBac..
Only available as a single remnant size of 5m x 4m.Stain resistant & Fade resistant, Bleach cleanable & Hard wearing,Suitable for the busy modern home in any/all rooms, including stairs & landings,2 Ply Pile - Adds density, depth in colour and wearability, Action backing - Underlay & Grippers are required. *Reduced from £11.99 Per SQMSpecifications:Name: Amber Colour: Brown BeigeThickness: 10-11mmMaterial: 100% PolypropyleneBacking..
Only available as a single remnant size of 2.6m x 4m.Stain resistant & Fade resistant, Bleach cleanable & Hard wearing,Suitable for the busy modern home in any/all rooms, including stairs & landings,2 Ply Pile - Adds density, depth in colour and wearability, Action backing - Underlay & Grippers are required. *Reduced from £11.99 Per SQMSpecifications:Name: Amber Colour: Cream/Light BiegeThickness: 10-11mmMaterial: 100% Polypro..
Only available as a single remnant size of 3.8m x 4m.Stain resistant & Fade resistant, Bleach cleanable & Hard wearing,Suitable for the busy modern home in any/all rooms, including stairs & landings,2 Ply Pile - Adds density, depth in colour and wearability, Action backing - Underlay & Grippers are required. *Reduced from £11.99 Per SQMSpecifications:Name: Amber Colour: Cream/Light BiegeThickness: 10-11mmMaterial: 100% Polypro..
Only available as a single remnant size of 3m x 4m.Stain resistant & Fade resistant, Bleach cleanable & Hard wearing,Suitable for the busy modern home in any/all rooms, including stairs & landings,2 Ply Pile - Adds density, depth in colour and wearability, Action backing - Underlay & Grippers are required. *Reduced from £11.99 Per SQMSpecifications:Name: Amber Colour: Cream/Light BiegeThickness: 10-11mmMaterial: 100% Polypropy..
Only available as a single size remnant of 1.9m x 5m. Stain resistant & Fade resistant, Bleach cleanable & Hard wearing,Suitable for the busy modern home in any/all rooms, including stairs & landings,2 Ply Pile - Adds density, depth in colour and wearability, Action backing - Underlay & Grippers are required. *Reduced from £11.99 Per SQMSpecifications:Name: Amber Colour: Light Black Silver Thickness: 10-11mmMaterial: 100%..
Only available as a single size remnant of 2.1m x 4m. Stain resistant & Fade resistant, Bleach cleanable & Hard wearing,Suitable for the busy modern home in any/all rooms, including stairs & landings,2 Ply Pile - Adds density, depth in colour and wearability, Action backing - Underlay & Grippers are required. *Reduced from £11.99 Per SQMSpecifications:Name: Amber Colour: Light Black Silver Thickness: 10-11mmMaterial: 100%..
Only available as a single size remnant of 2.5m x 4.4m. Stain resistant & Fade resistant, Bleach cleanable & Hard wearing,Suitable for the busy modern home in any/all rooms, including stairs & landings,2 Ply Pile - Adds density, depth in colour and wearability, Action backing - Underlay & Grippers are required. *Reduced from £11.99 Per SQMSpecifications:Name: Amber Colour: Light Black Silver Thickness: 10-11mmMaterial: 10..
Only available as a single size remnant of 2m x 4m. 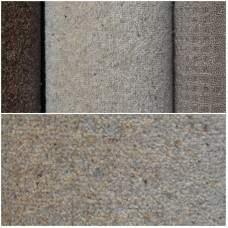 Stain resistant & Fade resistant, Bleach cleanable & Hard wearing,Suitable for the busy modern home in any/all rooms, including stairs & landings,2 Ply Pile - Adds density, depth in colour and wearability, Action backing - Underlay & Grippers are required. *Reduced from £11.99 Per SQMSpecifications:Name: Amber Colour: Light Black Silver Thickness: 10-11mmMaterial: 100% P..
Only available as a single size remnant of 3.2m x 5m. Stain resistant & Fade resistant, Bleach cleanable & Hard wearing,Suitable for the busy modern home in any/all rooms, including stairs & landings,2 Ply Pile - Adds density, depth in colour and wearability, Action backing - Underlay & Grippers are required. *Reduced from £11.99 Per SQMSpecifications:Name: Amber Colour: Light Black Silver Thickness: 10-11mmMaterial: 100%..
Only available as a single size remnant of 3.5m x 4m. Stain resistant & Fade resistant, Bleach cleanable & Hard wearing,Suitable for the busy modern home in any/all rooms, including stairs & landings,2 Ply Pile - Adds density, depth in colour and wearability, Action backing - Underlay & Grippers are required. *Reduced from £11.99 Per SQMSpecifications:Name: Amber Colour: Light Black Silver Thickness: 10-11mmMaterial: 100%..
Only available as a single size remnant of 4.3m x 5m. 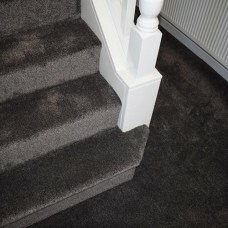 Stain resistant & Fade resistant, Bleach cleanable & Hard wearing,Suitable for the busy modern home in any/all rooms, including stairs & landings,2 Ply Pile - Adds density, depth in colour and wearability, Action backing - Underlay & Grippers are required. *Reduced from £11.99 Per SQMSpecifications:Name: Amber Colour: Light Black Silver Thickness: 10-11mmMaterial: 100%..